This post is a bit late, but I wanted to be sure to document my first attempt at a SOTA activation and what I learned from it. The title is probably a bit harsh, but the eternal pessimist in me couldn’t help it. I decided to attempt a SOTA activation after seeing a lot of increased activity from my esteemed ham colleagues such as KK7DS, KD0BIK, and of course the guy who probably introduced most of us Americans to the activity: WG0AT. I’ve always loved outdoor hikes and have done my share of outdoor operating from parks and campgrounds, so the idea of packing a portable station up to the top of a local peak has been sounding appealing for quite a while now. The plan was put together with much haste, as I wanted to get up in the mountains before any bad storms hit. I used the tools at SOTAWatch to find some candidate peaks that were within reasonable driving distance and not very high, then digitally scouted them using Google Earth. The initial research yielded a list of about 5 candidate peaks which fit my criteria. After more studying, I decided to try for Clatskanie Moutain W7/NC-039. It’s roughly 60 miles from my house, which translates to a one-way drive time of about 1.5 hours. The logging road from the highway to the peak was only about 3 miles, and it looked like I could drive all the way to the peak if I wanted to. The plan that I had in mind was to park at the cutoff to the little spur road that branched off to the peak. The distance from this intersection to the peak is only about 500 meters, an easy hike, but one that would fit within the spirit of the SOTA rules. After deciding on a peak, I managed to rope Dave W8NF into going on the trip with me, a decision that I would be very grateful for later. Since I recently sold my FT-817, the only portable radio that I currently have is my CC-20 beta unit, and it was in a bit of a torn-up state since I’ve been making corrections that will be implemented in the final version. I also wanted to do some 10 meter operation, so I thought it would be fun to slap together a VXO-tuned DSB rig that might allow me to snag a few voice QSOs. Without getting into the painful details, I worked furiously to build the DSB rig and get the CC-20 back into working condition (without a proper enclosure!). In a homage to my school days, I didn’t finish until late night just before the day we were to go on our little expedition, and even then I wasn’t sure that my 10 meter DSB rig was working correctly. So the designated day, Saturday, 3 December came around and I was running on about four hours of sleep, but still excited to get up around 8 AM to get going. By 9:30 AM, I was out the door, able to grab my coffee, and get to Dave’s house. We quickly made way to the peak, and had little difficulty finding the logging road off of the highway that would take us up to the peak. There was only one small problem. The gate was locked. I should have done better due diligence (such as experienced SOTA expeditioner KK7DS explains here) and picked up a proper topo map from the local forestry office. I was planning on a short hike to the peak, but I really didn’t want to turn around and drive back 1.5 hours having not even tried. I knew we were about 3 miles from the peak, which was a bit of a hike for some one as out of conditioning as me, but I felt I could probably hack it. Graciously, Dave agreed to hike it, so we grabbed our packs and I lugged the bulky, oversized sack with the Buddipole and we made way for Clatskanie Mountain. Fortunately for us, the weather couldn’t be any better for a December trek in the Oregon Coastal Range. The skies were mostly clear, with just a bit of high clouds and some patches of fog below us. We had a pleasant hike up to the peak, and while I (the guy who is mostly sedentary and fat) had to stop for frequent breathers, Dave (the guy who runs half-marathons) didn’t seem to have too much difficulty with the 3 mile hike and 700 foot elevation gain. When we reached the peak at sometime around 1:30 PM, we were greeted with a very spiffy microwave tower and wonderful view of the Columbia River below us to the north. The temperature was chilly (I’m guessing around 35° F) but the wind was slight. There was a large earthen berm behind the microwave facility that gave us a point to operate with the mountain sloping away west, north, and east. I brought along my EFHW antennas, but decided not to deploy them at first since there weren’t any trees at this location. I deployed the Buddipole in L-configuration with Dave’s help and he broke out his FT-817 and started listening on 10 meters. As expected, the bands were ultra quiet up here far away from any big RF noise generators (save that big microwave tower right behind us!). While Dave sent out some CQs on 28.060 MHz, I unpacked my DSB radio and the CC-20 beta. Dave didn’t have any luck getting responses, which struck me as a bit odd. We could hear plenty of signals, and we had his Elecraft T-1 in-line and tuned-up. So I decided to try the DSB radio. A few quick cable changes and it was ready to go. Only one small problem. It was completely deaf. Well, that’s what I get for trying to get a radio on the air in such a hasty fashion. I felt bad because I knew that there were people listening for me on my pre-spotted frequency of 28.650 MHz, but somewhat surprisingly I was wasn’t successful in getting cell service on the peak, so I couldn’t spot a new notification. Sometime around these events, the wind started picking up, making the temperature feel wicked cold with the wind chill factor. So next up was the CC-20. Again, dead as a doornail (I later found out that it was a bad solder joint in the VFO circuitry that popped loose on the hike). Dave was kind enough to let me use his FT-817 to try to get my four required QSOs to count for a proper SOTA activation. The 10 meter QRP watering hole was awfully quiet, but I figured that some CQing should bring people out. Turns out that I didn’t have much luck. 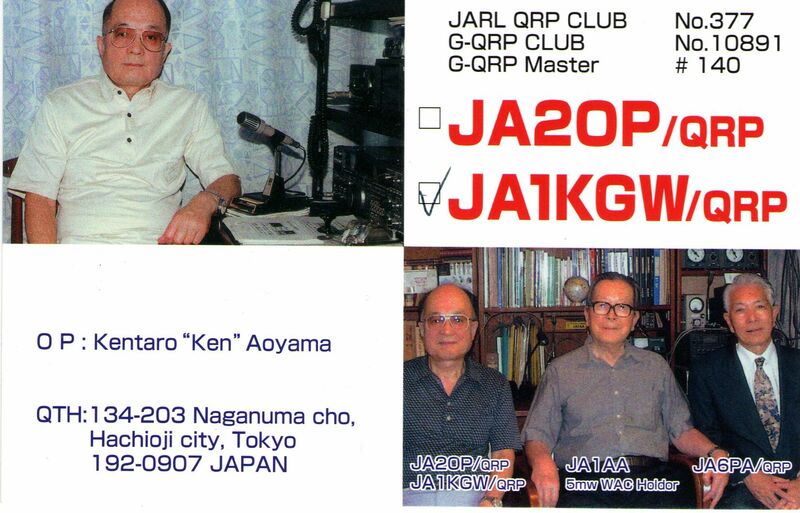 I managed to work a weak WA8REI, then a booming JA1KGW (this guy is an awesome QRPer). By this time, both Dave and I were getting awfully cold. The wind seemed to be getting stronger and the temperature felt like it kept dropping. My further CQs were going unanswered, so I thought that 10 meters might be starting to close up and that we should move to 20. We quickly re-resonated the Buddipole for 20 meters and re-tuned the T-1. I tried calling CQ on a few different frequencies near the QRP watering hole, but never did get any calls on 20 meters. I’m not sure how long I tried calling, but I didn’t have a memory keyer to use, so I was manually sending the CQ each time, and it was getting sloppier and sloppier due to my numb hands. Poor Dave was pacing around to keep warm by this point. As much as it killed me to leave before activating the summit, we we both very uncomfortable and needed to leave soon regardless, because we only had about 1.5 hours of sunlight left at this point. All of our stuff got packed up in record time and we started downhill at a brisk pace. But only a few hundred meters from the peak, my leg started cramping up bad from the cold weather. A bit of stretching worked it out, but then it kept recurring every few hundred meters! We both wanted to get back to the warmth of my pickup as fast as possible, but my leg was not cooperating very well. Dave patiently waited as I stopped each time to try to work out the leg cramps. Although it took longer than expected, we did reach the gate right when the dark was really starting to set in. Getting back in the truck and heating up my body mercifully ended the awful leg cramps. I’m a perfectionist by nature, so it still bothers me that I didn’t get my activation of Clataskanie Mountain. And it’s tough to try to demonstrate the fun and effectiveness of QRP to a non-QRPer like Dave when you have such a lousy radio day as I did. I am very glad that Dave was there, as I might have stayed on the peak too late to get back before dark if I was only thinking of myself and of trying to complete my activation. I also realized that a nearly 7 mile round trip hike for a unconditioned hiker such as myself would have been incredibly foolish. If my leg cramps had been worse, I could have been stuck up there in the dark over night. I used to hike like this with no problems, but I have to remind myself that this was 10+ years ago and that I was in much better shape then. It’s a cliché, but I did learn a lot from the trip, regardless of the radio results. I do intend to try it again in the spring, once the bad winter storms have passed and I have my radios really ready to go. Stay tuned for further adventures! Kudos to you Jason for admitting that things went wrong. I enjoyed your article a lot, and now I’m keen to activate some mountains in Southern Oregon! As disappointing as it was, it was still a day outside with a radio, giving it the “ol’ college” try. Better than a day here at work, that’s for sure – plus your scenery was mega beautiful. Thanks for sharing! I agree with Larry. Jason, it was the best outdoor adventure I’d had since Field Day. I needed something to kick myself out of my complacency and get outdoors. A detailed and enjoyable account of your mini expedition Jason. Sounds like you had quite a workout and excellent company, so at least the non-radio part of the day was a complete success! Isn’t it amazing listening to the radio up and away from all the QRM? I did notice my 817 getting breakthrough from some nearby hill-top transmitters when I operated from Vollmer Peak in the hills overlooking Berkeley but other than that, the reception was ear-opening. I’m very curious as to why you weren’t getting out that well though. Big head-scratcher, that one. Perhaps some experienced mountain-top operator can give us some insight. Looking forward to your next radio outing!